Automobile accidents are the most common cause of whiplash. Any type of accelerated motion that thrusts the head forward and then backwards with extreme force can lead to whiplash. Sports accidents can also cause whiplash-associated injuries. An unpredicted head jolt can damage the complex structures of the cervical spine, leaving tendons and ligaments intensely irritated and inflamed. The tendons and ligaments as well as other tissues of the neck may become overly stretched and torn. A whiplash type injury may be suspected if the individual involved in an automobile accident experiences the following symptoms: neck pain and stiffness; worsening pain with movement; loss of range of motion in the neck; headaches, most often starting at the base of the skull; tenderness or pain in the shoulder, upper back or arms; tingling or numbness in the arms, fatigue and dizziness. Other individual’s may experience: blurred vision; ringing in the ears; sleep disturbances; irritability; difficulty concentrating; memory problems; and even depression. 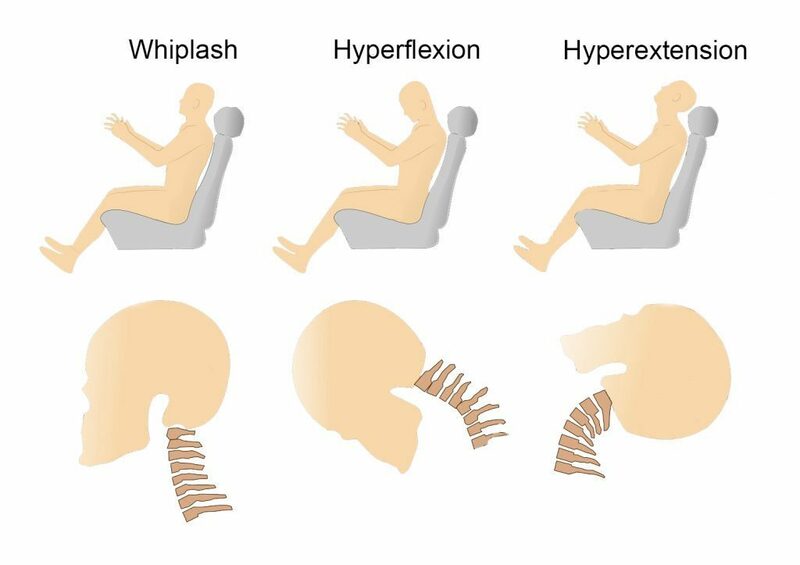 While these are some of the most common symptoms of whiplash, they may also suggest the presence of another type of injury or condition resulting from the automobile accident. Thus, it’s essential to visit a qualified healthcare professional who can properly identify a whiplash injury and offer the required treatment to eliminate the resulting pain and symptoms. 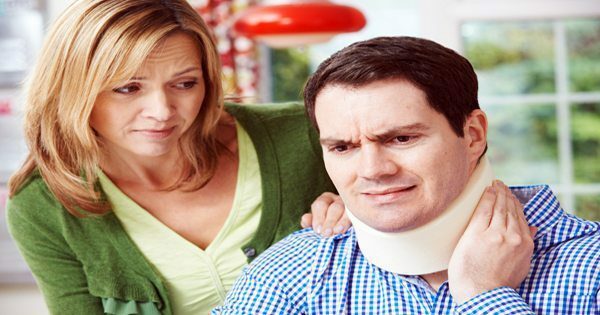 Apart from assessing the doctor’s experience and qualifications, the victim of an automobile accident must primarily consider their geographical location and the type of insurance they are covered by when deciding on the type of doctor to visit following a whiplash type injury. Other factors that should influence the affected individual’s decision include whether they are represented by an attorney and whether they are living in a state where PIP, or personal injury protection, is mandatory. People who’ve sustained injuries from auto accidents fail to receive the kind of medical care they require. It has been previously determined that the outcome of the patient’s rehabilitation depends on the type of doctor they receive care from. Many individuals who’ve been involved in an automobile accident, regardless of the severity of the collision, will generally visit the emergency room, or ER, to have their injuries evaluated. The majority of ERs are designed to take patients out of life threatening situations. First, they immediately assess any visible injuries, such as open wounds and broken bones, treating them effectively on the spot. They may even prescribe medications to temporarily relieve the painful symptoms following a traffic collision. However, many victims are not treated for their whiplash injuries. The trained specialists from the ER, provide first-aid, X-rays and medications to remove individuals from life-threatening situations but they don’t readily treat soft-tissue injuries like whiplash. From there, patients are sent to see their primary care physician, or PCP, to assess the rest of their injuries, yet, they may still face hardships to finally receive the proper care they deserve for their injuries. Many primary care physicians do not have the full qualifications in treating automobile accident injuries. Many of these doctors may even deny patients treatment. Whiplash associated disorders have been misunderstood in the medical field and many doctors believe whiplash is not a legitimate injury. However, those whom are suffering from whiplash can account for how painful it really is. Other doctors refuse treatment to whiplash patients because they may not accept any kind of 3rd party billing, a paying method where the doctor seeing the car accident victim has to bill the party at fault’s insurance company or utilize PIP or med pay to receive compensation. This is a commonly well-known reason for denial of treatment as a large number of primary care physicians, or PCPs, still don’t have the required authorizations to accept 3rd party billing. Besides primary care physicians, medical doctors, orthopedics, chiropractors and physical therapists are several types of qualified healthcare professionals that specialize on treating automobile accident injuries such as whiplash. Among these, chiropractic treatment is the most popular, alternative treatment option for treating various soft tissue injuries or conditions. Many people from the legal and medical industry dismiss seeking a chiropractor for auto accident injury treatment. However, the fact is that a chiropractors are some of the only doctors who offer therapeutic treatments to accident victims. Treatment offered by medical doctors might include the use of drugs, although in many cases, they may also recommend physical therapy. This automatically highlights the importance of chiropractic care for whiplash victims because chiropractic care and physical therapy are very similar forms of treatment. Whenever an individual who’s been involved in an automobile accident visits a chiropractor and complains of pain in the neck, the medical specialist will carry out a series of tests to determine whether the patient has suffered whiplash. Instead of focusing solely on the specific injury, chiropractors are trained to inspect the affected individual’s entire spine. Aside from soft tissue injuries like whiplash, chiropractic doctors may also check for: disc trauma or injury, tightness or tenderness, restricted mobility, muscle spasms, joint injuries, ligament injuries, posture and spinal alignment. They may also analyze the patient’s gait. Besides checking for the above, chiropractors might also request X-rays and MRI of the patient’s spine in order to find out whether the spine features any degenerative changes which might have developed before the accident. To offer the best possible treatment, it is extremely important to determine which problems existed prior to the accident and which ones resulted from the accident. In most cases, insurance companies may argue that every single injury in the victim’s body is preexisting. This makes the role of the chiropractor considerably important as they will make sure to document all the previous and new injuries separately to ensure the insurance company pays for the patient’s treatment. In addition, the evaluation performed by the chiropractor also allows them to create the most effective treatment plan for each individual whiplash victim. The leading concern for chiropractors who treat whiplash-associated disorders involve alleviating inflammation in the neck. Chiropractors often recommend ice therapy, or the application of ice pack against the affected area, multiple times a day. This remedy is capable of reducing both pain and inflammation. Once the inflammation subsides, they often carry out a variety of manual therapeutic techniques to restore and increase the individual’s strength, flexibility and mobility. The kind of chiropractic treatment the individual will require depends largely on the severity of the whiplash encountered. However, it has been previously determined that the majority of individual’s with whiplash find spinal manipulations useful. The most common chiropractic treatment techniques involve, spinal adjustments and manual manipulations, to carefully re-align the structures of the spine and help reduce symptoms. The following spinal techniques are also used to treat whiplash injuries: Instrument-assisted treatment, which involves the use of handheld instruments to provide a gentle massage by applying force onto the spine without utilizing any kind of thrust. Instrument-assisted chiropractic therapy is used mostly to treat older patients with degenerative joints; flexion-distraction, this technique involves the use of a non-thrusting motions, best described as a slow pumping action; specific spinal manipulation, this therapy involves the use of a mild thrusting technique and is mostly used for restoring motion to the affected joints. Specific spinal manipulation helps stretch the soft tissues, which makes the job of restoring motion to the affected areas of the spine easier; instrument-assisted chiropractic therapy, also known as the Graston Technique, is used during this form of chiropractic therapy to perform repetitive strokes on the injured body part; therapeutic massage, performed to ease muscle tension and stress in the injured region; interferential electrical stimulation, where a patient undergoing this type of therapy will see the chiropractor passing electrical current at a very low frequency through their body. This low frequency current helps stimulate the muscles and reduces inflammation; trigger point therapies, as the name suggests, involves the application of direct pressure onto specific points to alleviating muscle tension; and finally ultrasound therapy, capable of decreasing stiffness, pain, and muscle spasms in the affected areas. When ultrasound is passed through the patient’s muscle tissues, it warms up the treated region and increases blood circulation. Ultimately, chiropractors can help victims of whiplash in many ways. These health care providers can ensure that an individual’ whiplash and its associated symptoms may subside completely. They always make sure to create a patient-specific treatment plan to make the process of recovery simpler for every individual. Other than recommending immediate treatment for reducing the acute pain and inflammation, the chiropractor might additionally recommend a series of stretches and exercises, to help speed up the rehabilitation process as well as help increase the individual’s strength, flexibility and mobility. Whiplash injuries, when left untreated, can cause severe complications. If you or a loved one have been involved in an automobile accident, visit a chiropractor immediately. By being prompt, you can even reduce your recovery time significantly. That’s not all; the chiropractor will also provide the required assistance to your lawyer, proving that the injury resulting from the accident wasn’t a preexisting injury or condition. When you are injured in a car accident, you must get acquainted with your rights as soon as possible to receive the proper compensation and treatment for your specific situation. There is no such thing as a simple car crash. Certain injuries or conditions which may have developed following an automobile accident may become chronic or permanent if left untreated. If an individual is experiencing neck stiffness or headaches after a traffic collision, it’s absolutely wrong to assume that this will subside in a few days. A minor discomfort could turn out to be a more serious complication. Often, people injured in auto accidents develop scar tissue that remains with them throughout the rest of their lives and without the necessary treatments or exercises, these can become stiff and greatly limit an individual’s ability to move properly. The above issues generating from a car accident show how important it is for people to seek immediate legal and medical help. Chiropractors are known for their expertise in managing soft tissue injuries and the resulting chronic and traumatic pain; as a result, they are often considered to be the best healthcare professionals to consult after a car accident. Auto accidents can create enormous confusion and frustration. Most injuries associated with car accidents include trauma to the cervical spine. Dr. Jimenez discusses treatment options and procedures used in assisting patients reach optimal recovery. Choosing the right clinical team is always important. Many legal experts agree that a specialist focusing on soft tissue injuries is a search requiring great insight and assistance. Doctors of chiropractic and physical therapy along with surgical experts are best suited in assisting patients find the correct treatment options. If you have more questions please feel free to call 915-850-0900 in order to speak to Dr. Alex Jimenez.